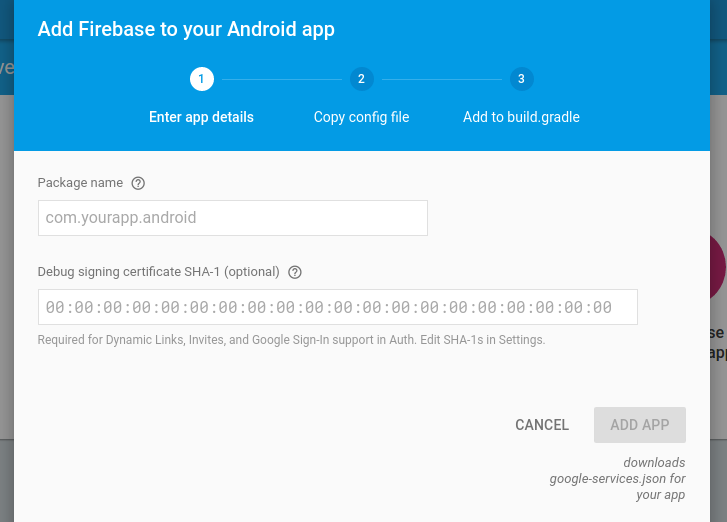 Part 3, Firebase â€“ Storage, a storage for app developers like us, comes with storage backed with Google Cloud Storage. Part 4, Firebase â€“ Basic Authentication, a type of authentication which authenticates a user with his email and password. In this article, we are going to discuss about federated identity provider authentication. Federated identity provider integration is nothing but allowing users to authenticate their identity using either Google, Facebook or Twitter. Many a times, it takes time to sign-up or sign-in using any social networking apps, but after authenticating through Firebase, you wonâ€™t be able to say that. Through this type of authentication, Firebase manages the tokens and all personal data of the userâ€™s respective social accounts. After using it in your application, you will definitely suggest it to others to use the same. 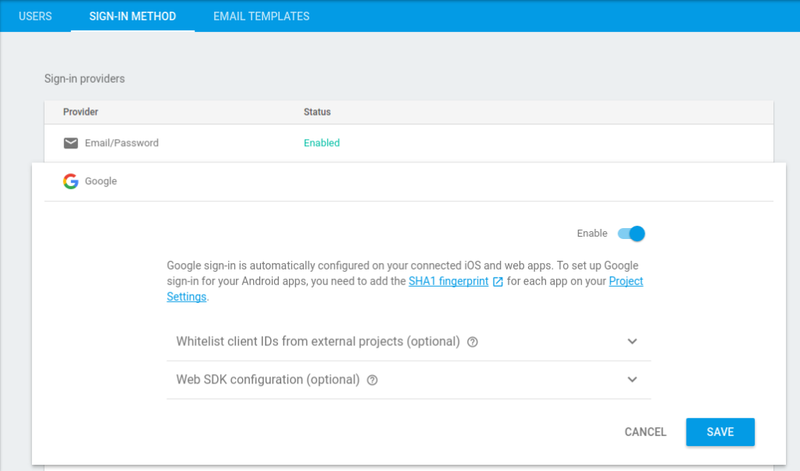 As you will have to sign in using Google, you will have to go through all the steps required to integrate Google in your app. 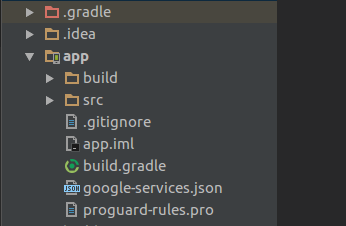 If you havenâ€™t done so, follow the steps specified in Enable Google Integration In Android. We can also let the users use their Facebook account to authenticate with Firebase. As you will have to sign in using Facebook, you will have to go through all the steps required to integrate Facebook in your app. If you havenâ€™t done so, go to Facebook For Developers. Go through everything and finally you will get an App ID and App Secret from it. Next, go to the Sign in method tab, enable the Facebook sign-in method and specify the App ID and App Secret you got from Facebook. 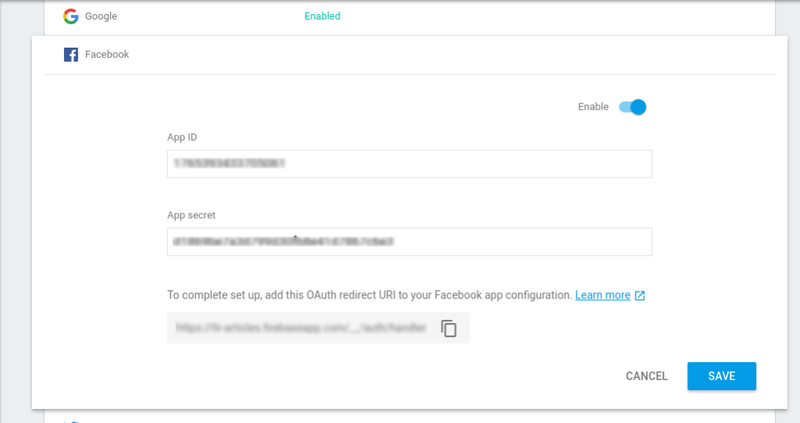 Finally, see to it that your OAuth redirect URI is mentioned as one of your OAuth redirect URIs in your Facebook app’s settings page on the Facebook for Developers site in the Product Settings > Facebook Login config. 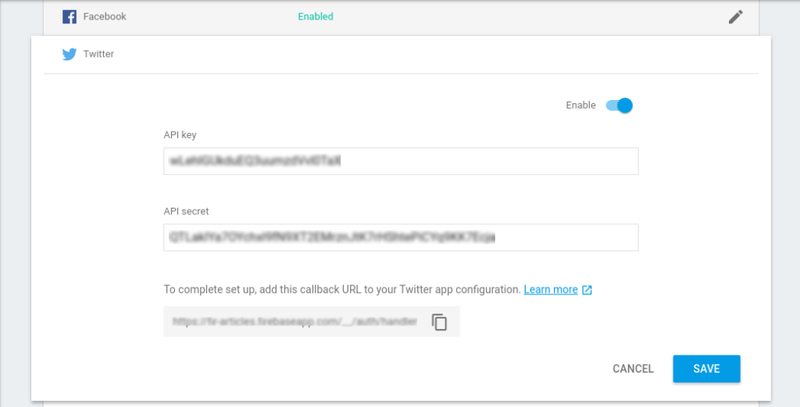 We can also let the users use their Twitter account to authenticate with Firebase. As you will have to sign in using Twitter, you will have to go through all the steps required to integrate Twitter in your app. If you havenâ€™t done so, follow the steps specified in Twitter For Developers. Next, go to the Sign in method tab, enable the Twitter sign-in method and specify the API Key and API Secret you got from Twitter. Finally, see to it that your OAuth redirect URI is mentioned as Callback URL in your app’s settings page on your Twitter app’s config. First of all, set up the code to sign in to Twitter and you will get the respective token from the session. After a user signs up, a new user account is created and after signing in, linked to the credentials the user signed in with. This account is stored in your Firebase project. In your apps, you can get to know the userâ€™s basic profile information . In order to do so, go through Manage Users. So, after going through this blog, you might have realised how easy and fast it is to authenticate using Firebase !!!! Hope you learnt something new from this article. But, it doesn’t end here. 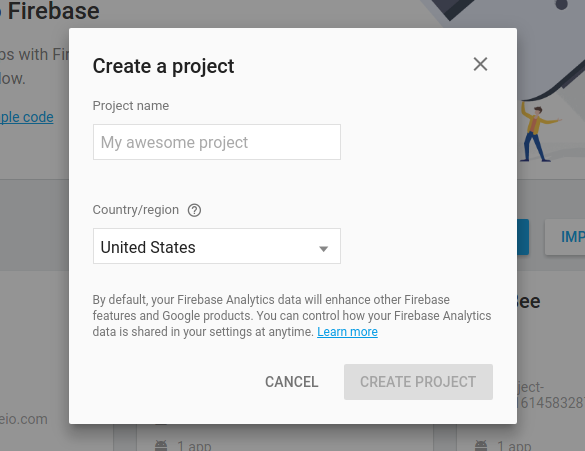 There is much more to Firebase and I hope that I can deliver more and more.